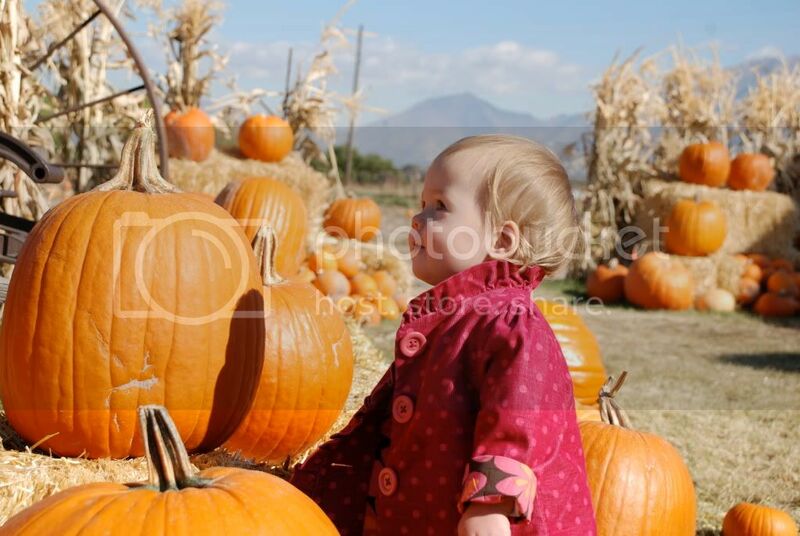 We went to a cute little pumpkin patch last a few weeks ago with Avery. Ella was in heaven. "Ball. Ball. Ball. Ball. Ball...."
Ball. Ball. Ball. That was so funny! Gave me my chuckle for the day! 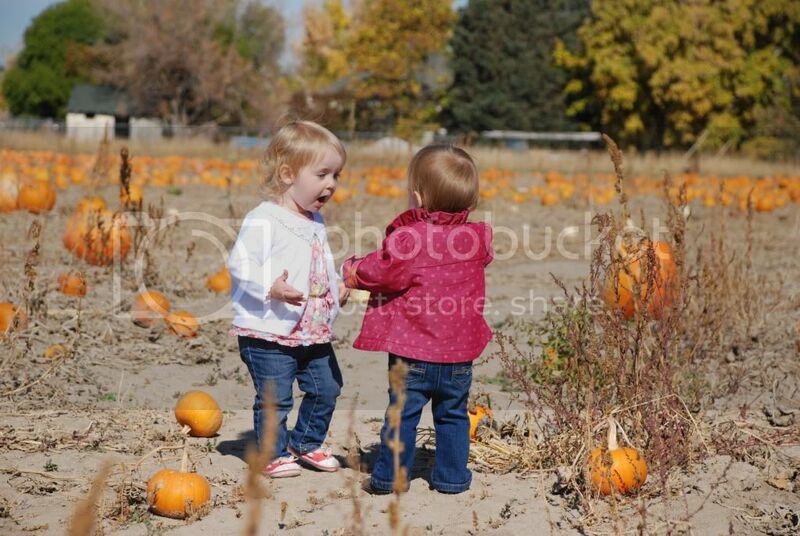 The pictures of two little friends are so cute. Looks like they are really having some good conversations about something or other. Wherever did she get such a cute jacket? ;) love the photos! Where are the ones from Halloween? Those two little girls. So cute. So cute! Ella has your sense of fashion! I love the jacket! 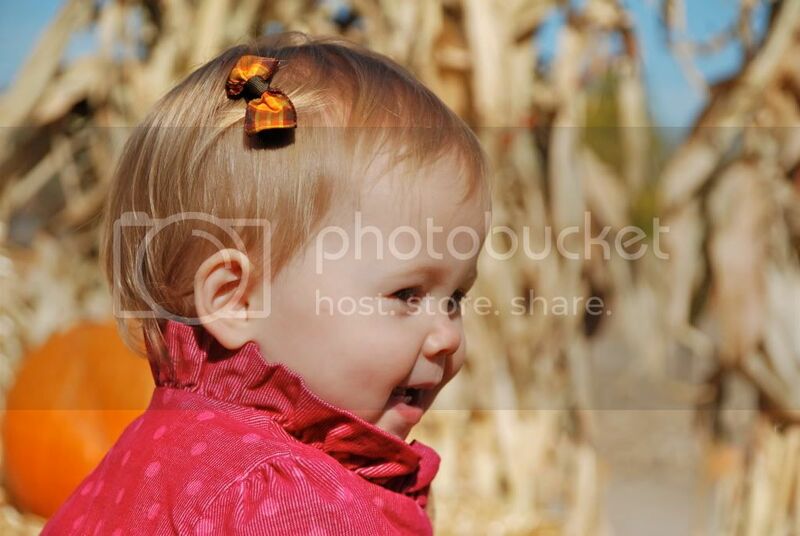 She can hold a little clip in her hair too! I also loved the hallowweek pics! Cutest little critter there ever was! Love the jacket. Are they walking around on sand? 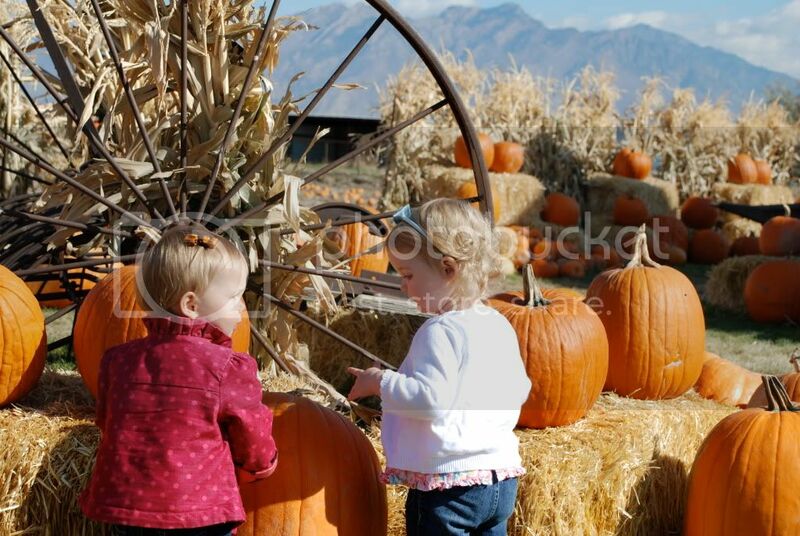 Was that the original pumpkin patch? These photos are so cute. What a tiny fashionesta. It must be genetic. The coat is amazing! It was perfect against the pumpkins. Such fun memories made!